The holiday season, a time of magical moments, is the best time to enjoy a hot chocolate, or a Christmas dessert. Around the world the holiday season is celebrated in different ways, and one thing that differs are desserts. Here are a few Christmas desserts around the world. In Europe, in the encantadora (charming) country of Spain, a couple of delicious Christmas treats are Turrón, Polvoron, Mantecados, Marzipan, and Pestińos. Turron is a candy bar of Moorish origin. There are many different types of Turron, such as Hard Alicante (or turrón duro) a thick, brittle mass of eggs, honey, sugar and almonds that come together to create a crunchy almond nougat candy. But there is also soft Turron Jijona, making this turron the most common. Polvoron, known as shortbread cookies are made with flour, milk, sugar, and nuts. They come in different flavors such as vanilla, cinnamon, lemon, etc. Some say they have a fine, distinct melt-in-your-mouth texture. Now we’re headed off to merveilleux (beautiful) country of France. 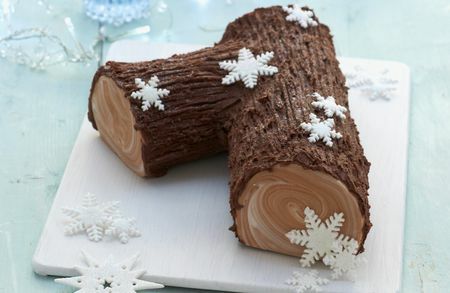 Buche de Noel, is a very popular Christmas dessert in France, also known as Yule Log Cake. It’s made by baking a sponge cake in a shallow pan, frosting it, rolling it into a cylinder and frosting it again. This gives it its “log” shape. Most of the time, bar-like designs are made, to make it look like a log. From France we’ll be traveling across the ocean to land in Argentina, home of the the soccer player, Lionel Messi. 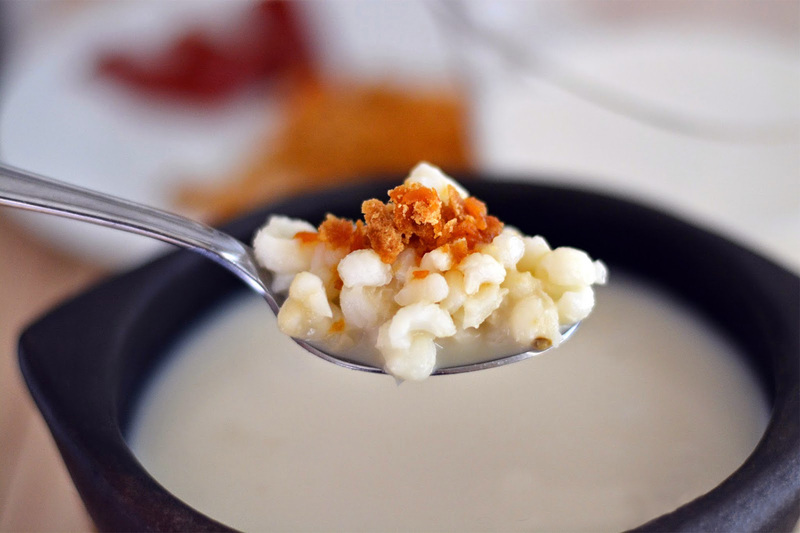 Mazamorra, a typical dessert, is cooked like rice pudding but with corn instead. White corn is cooked in water, then milk, sugar, and vanilla are added. It’s served cold and sometimes with cold syrup fruits. Búdin de pan (Bread pudding) is a very popular, nutritious, and cheap dessert. It’s an Argentine pudding that was born from reusing stale bread. The bread crumbs are cooked with milk, sugar, lemon skin, and vanilla. Then eggs, cream, and raisins are added. It is then boiled gently in a baking tin with caramel. It is then served with a couple of Dulce de Leche spoons. Now we will fly back over the ocean and land in the bella (beautiful) city of Rome, Italy. This desset is similar to a nougat but with a harder texture. 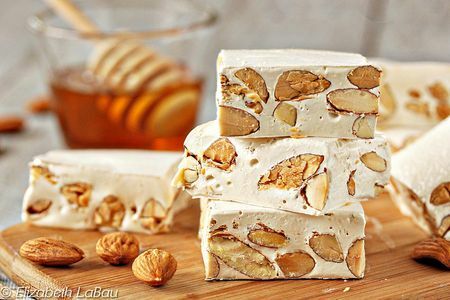 Torrone is made of eggs, honey, sugar, almonds, hazelnuts or walnuts. There are many types of it, some coated outside with dark chocolate or the chocolate version where instead of having honey and eggs, the interior is made completely of chocolate with nuts. is a spiced fruit and nut cake. Some say it has a unique flavor because it is made from winter ingredients such as ground cinnamon, cardamom, cloves, nutmeg, honey, and nuts. To this extent, this dessert is called “strong bread.” Its aroma also holds a shot of the Italian dessert wine, vin santo. We will now land in Germany. 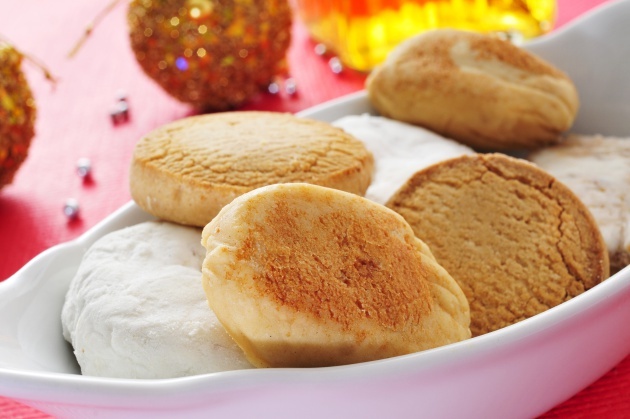 Similar to gingerbread, lebkuchen is a traditional Christmas treat in Germany. This cookie has become a symbol for the holiday season. The common ingredients are honey, spices, and nuts and the spices range from sweet to spicy. Although this cookie is soft, a harder type of lebkuchen is used to make the heart shaped versions. Buckwheat gateau is a dessert that is a specialty of the Lúneburg Heath region of Lower Saxony in Northern Germany. This gateau is formed of layers of cake made from buckwheat flour and heather honey, it’s separated by a fruit layer using yogurt and cranberries and topped with whipped cream and chocolate shavings. For our last country we will be in Australia. Australia has many different, delicious desserts. One of its famous desserts is Lamington. This desserts is a cake made from squares of butter cake or sponge cake coated in an outer layer of chocolate sauce and rolled in desiccated coconut. 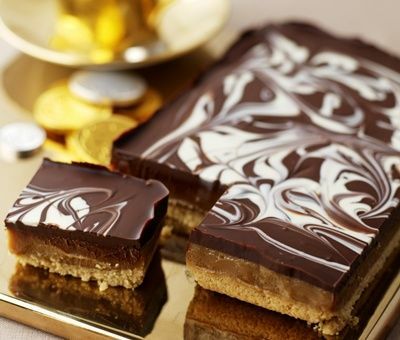 Caramel Shortbread, courtesy of Getty Images. Around the world Christmas is celebrated different. Each country having its own special traditions and desserts. I have ideas for these superb treats I will totally try these this 2019 holiday with my family.